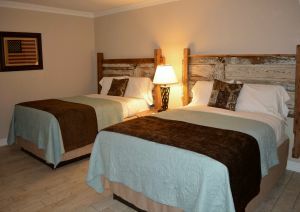 The Red River Station Inn has ten uniquely decorated rooms, each room depicting a character from Nocona's past. The hotel is eclectic, sometimes whimsical, and wonderfully fun. 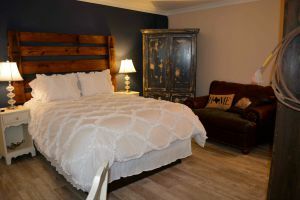 Stay in the Miss Enid Justin Room - or harken back to the days of the Chisholm Trail in the Jesse Chisholm and Quanah Parker Rooms. 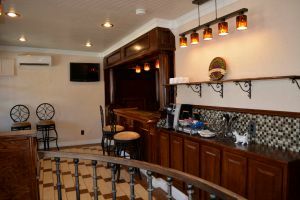 Each room offers a Keurig coffee maker with premium regular and decaf coffee provided, luxury linens and bedding, and a 32" flat screen TV with cable and local channels provided. A light breakfast is provided each morning - and complimentary wine during evening "happy hour." Each room is non-smoking and has wifi available.